I had a fantastic day last Friday with noted entomologist Steven Falk and the Wildlife Trust ecologist Graeme Lyons looking for rare bees at Castle Water. In the end we managed to turn up 25 species (most of these by Stevens hand), including grey-backed mining bee, spring colletes, large garden bumble-bee and red-shanked carder bee. The highlight, however, were three individuals of the large bear-clawed nomad bee (Nomada alboguttata - above), a species only added to the British list in 2016 from Kent and discovered at Rye Harbour last year. What's more, at least two were males, the first ever found in Britain! 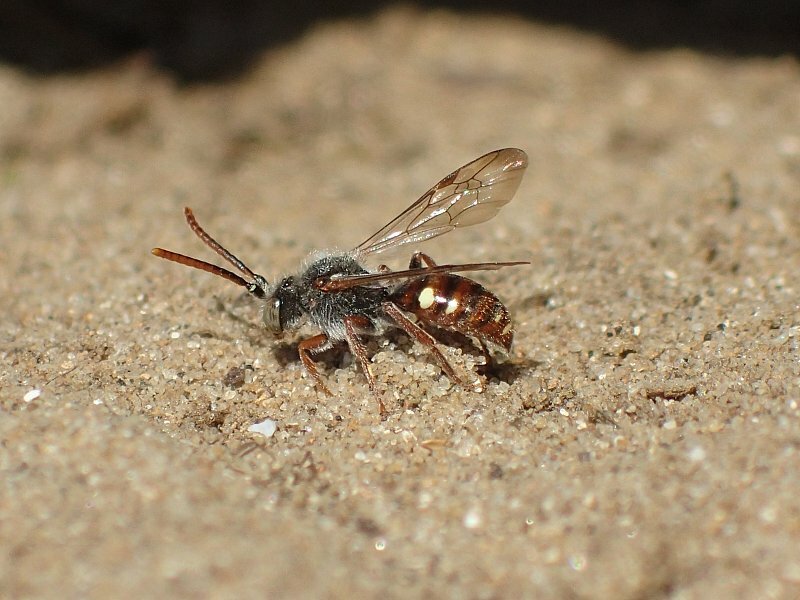 This species is a nest parasite or 'cuckoo' of sandpit mining bee, the nomad laying its eggs in the sandpit miners nest and the larvae then scoffing the supplies the host collected for its own offspring! Not being able to confine ourself to bees we also found a host of other invertebrates during the day, including dotted bee-fly, lesser streaked shieldbug, dune wolf-spider and the rare money spider Trichopterna cito, while Graeme also managed to add a couple of species to site list, recording marsh slug and the tick Haemaphysalis punctata. 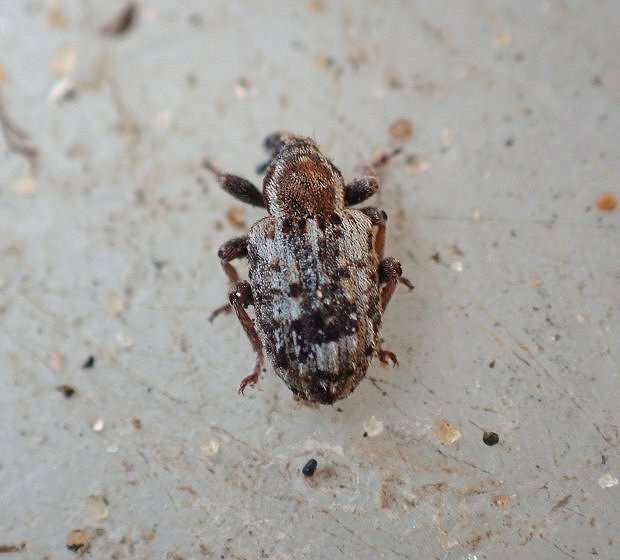 The most exciting find of all, however, was tiny weevil Limobius mixtus (above). This beastie is associated with common storksbill on bare sandy ground and is currently only found in three fields at Rye Harbour and nowehere else in the whole of the UK!